Thread: Faction specific formations is possible!! You just need to create new formation if descr_formations_ai then name it as a default triple_ai_missile_in_front, then set ai_priority to 1.0 and set supported_factions to faction you need. I did a raw test - took ordered_simple_line from descr_formations, did as I wrote - IT WORKS! UPD More to say - attack/defence flags work too (didn't tested anti-cavalry/anti-infantry). Germanicu5 script was turned off during my test - in case of working G5 it immediately reforms formation after battle start. So what do we have now? A possibility for custom attack/defence formation for every ancietn faction in EBII for example. Last edited by bitterhowl; March 14, 2019 at 08:04 PM. Re: Faction specific formations is possible!! Have you been able to prevent it from breaking to a different formation for marching? Without G5 - yes, they attacked me with initial formation without reforming, if they're overpower me. Can you paste the code so I can see ? I am trying it but they keep breaking formation when marching. With this formation (fromXAI or somewhere else)- cavalry is in the first line, so it charges my infantry immediately, then comes enemy infantry too. So I implemented RRRC 2.0 formations into my mod, they're faction specified now. As for priority - I find that default formation ai_triple_ai_missile_in_front in core game files has 1.2 priority. So I set my to 1.5 And the AI start attacking me without regrouping for example when I set moors to mongian formation with horse archers in the first line. Youtube is not available for the moment. Here's 20 seconds of mongolian formation movement in my submod. Need YouTube and registered Fraps for more. 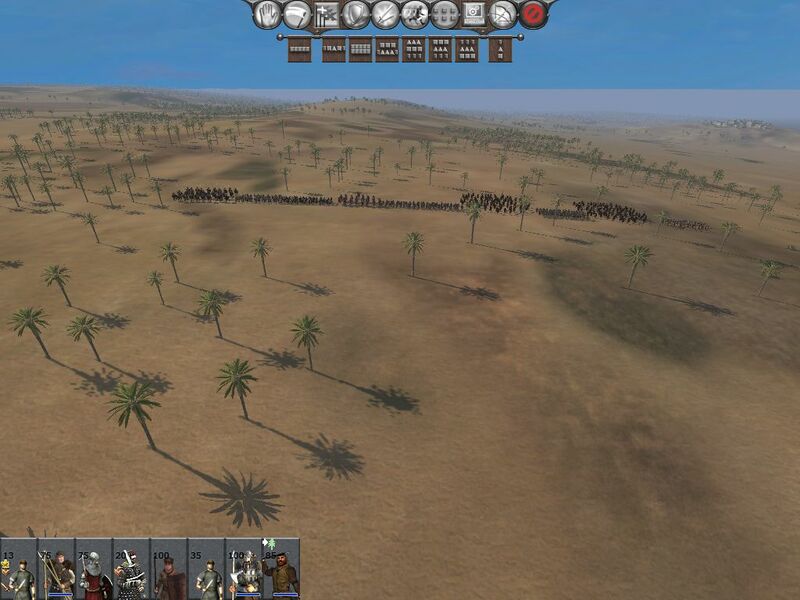 heavy_cavalry formation from RRRC 2.0 against me. Can you upload a copy of your formations? I would like to test it because how I tried resulted in that marching bug. Send them to you by PM. Still working with it, had some progress but made a stupid mistake - didn't make backup of files when it worked as on uploaded video, and continued to change settings and add parts of code from other mods. So now some factions save formations and some reform to default. I'd like to have a consultant for all that parameters because some are self-explanatory but many are not. Fortunately I send my good settings to z3n, so I could restore them. So, if somebody have interest in testing these new formation-stable AI settings - write here or PM me.